Well, lovelies, I’m back with round two in my Get the Look series, following on from my interior design trends round up post. Last week, it was all about Greenery. Today, we’re talking 80’s-inspired geometric home decor. Think crisp, graphic prints and plenty of bold colours. 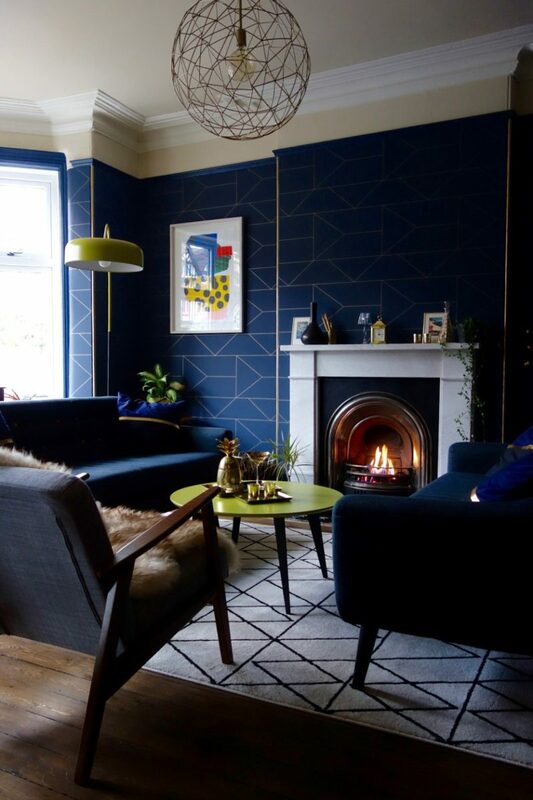 Making Spaces’ bold drawing room (below), pulls this look off immaculately. Most of what I remember from the 80s was not pretty as far as home decor goes, but I am loving this modern take on it rather a lot. 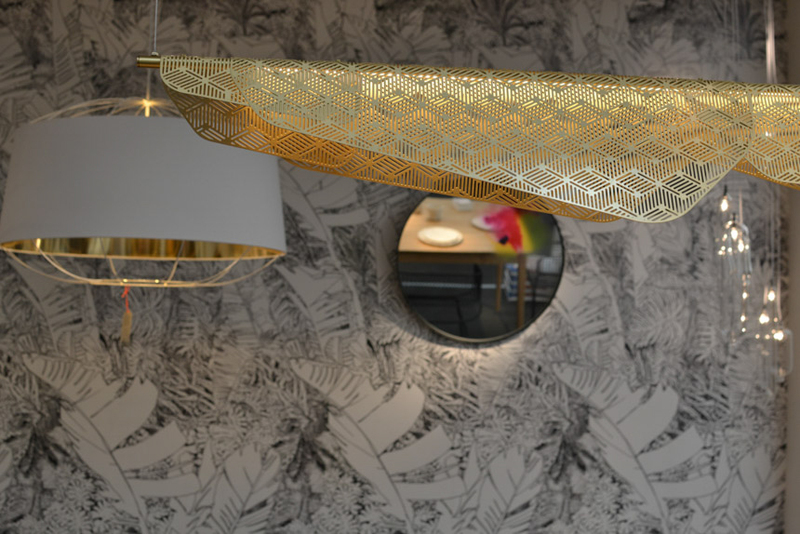 Especially the lighting – there is some very good geometric lighting out there right now (like Petite Friture’s brass Méditerranéa pendant, below). I’ve included quite a few neutrals in my little geometric home decor round up, since that’s my jam at the moment, but there is plenty of colour in here too. Enjoy! This post contains affiliate links where available.